And so the weekend of metal and mayhem begins. 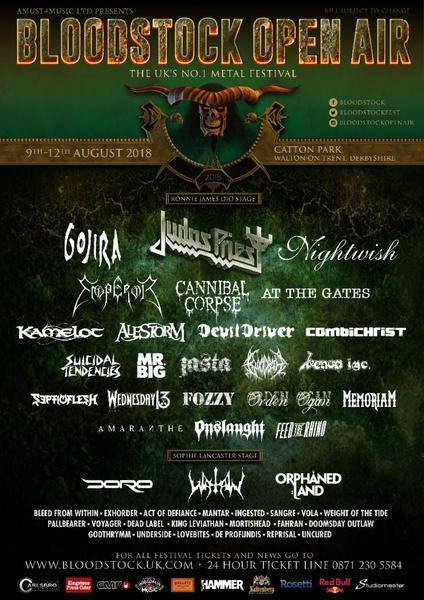 With a mix of sunshine and showers, hordes of heavy metal lovers gather at the 2018 edition of Bloodstock Open Air. 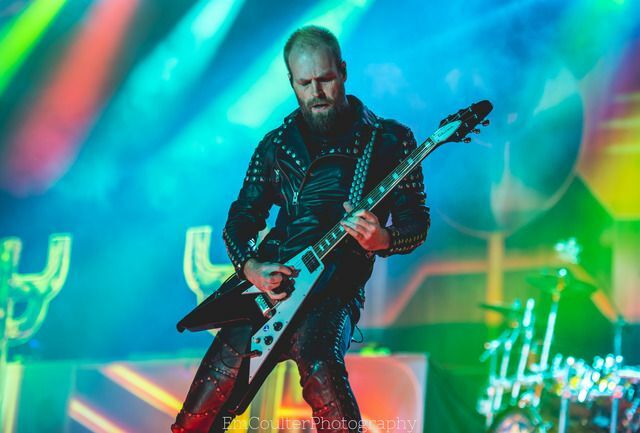 Headlining today's events are British metal pioneers JUDAS PRIEST who are expected to give one hell of a headline show. 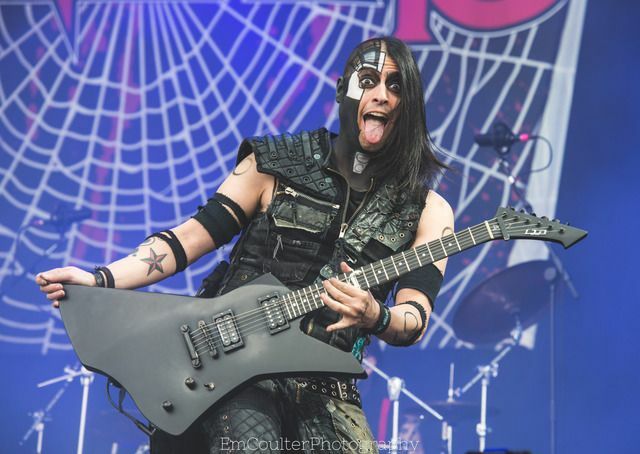 Also performing throughout the day is: WEDNESDAY 13, INGESTED, LOVEBITES, BLOODBATH, BLEED FROM WITHIN, DORO and many more suiting to all tastes. So the rain came crashing down and VULGORE arrived on stage. One of the smallest stages at the festival but bursting with the freshest talent from the Metal To The Masses competition. 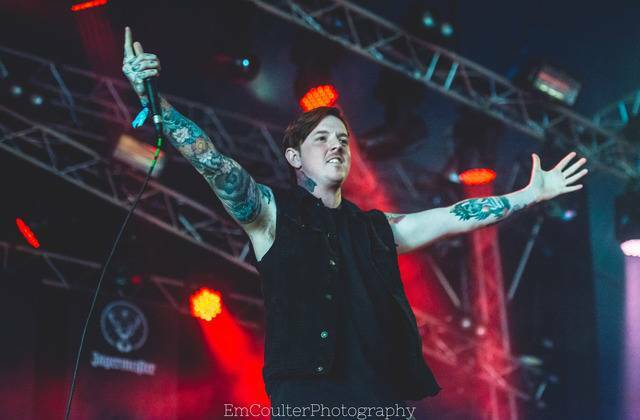 VULGORE, the hailing winners from Stoke played to a packed out tent whilst showers came down. Embracing every moment they had to play to such a huge crowd the band played their best tracks with passion and raw power, a band to keep an eye on for the larger stages of the festival. 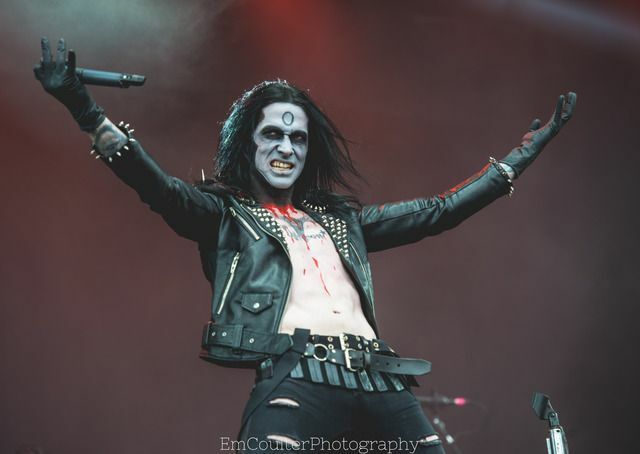 You can't deny that WEDNESDAY 13 knows how to put the theatrics into a show, and with his main stage performance today he has truly pushed the boundaries. 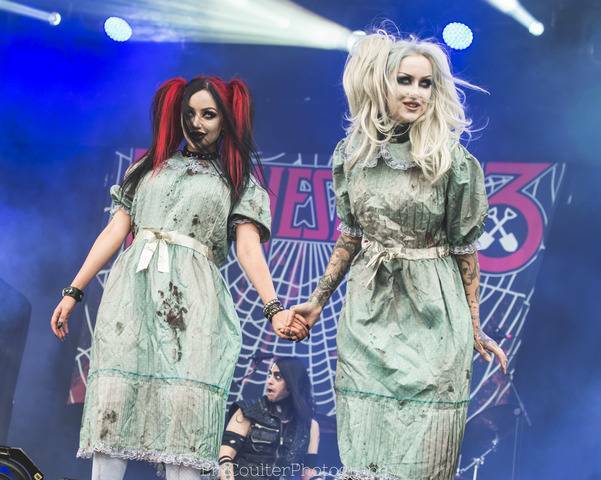 Coming onto stage behind a Redrum door, the spookiest guy in metal paired with two creepy babes from Pyrohex appeared to ''What The Night Brings'' bringing the chills to the crowd. Performing a playlist of old and new, the audience are loving everything the band throw to the audience with the crowd pleasers being ''Blood Sick'' and ''Gimmie Gimmie Bloodshed''. 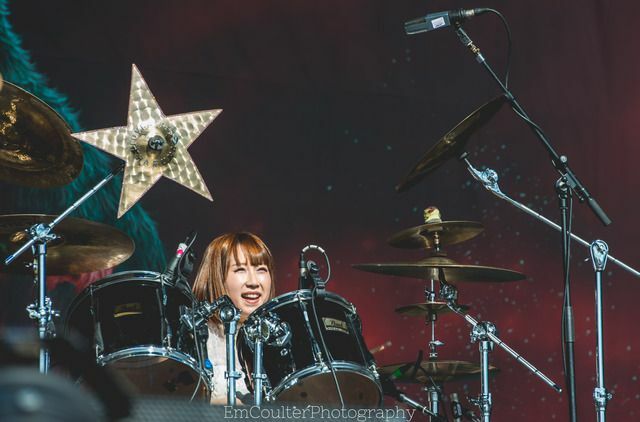 Due to SUICIDAL TENDENCIES being late for their slot, Japanese girl rockers LOVEBITES got moved to a main stage slot late in the day. 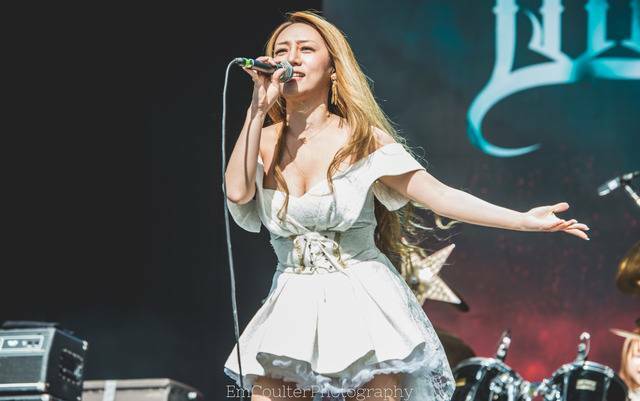 Firstly coming into a cold and unknowing reception LOVEBITES quickly turn a quiet crowd into a roaring one with charismatic vocalist Asami running around the stage and being a true hype vocalist. 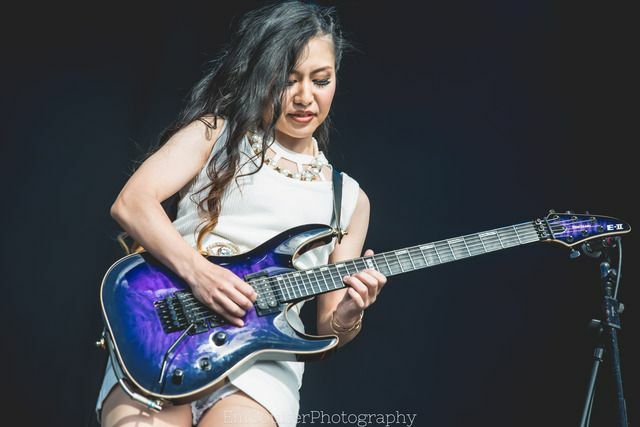 Guitarist Midori out performs the best guitarists in the world with her killer riffs and mezmerising solo's, easily leading the band through a short but smashing set. 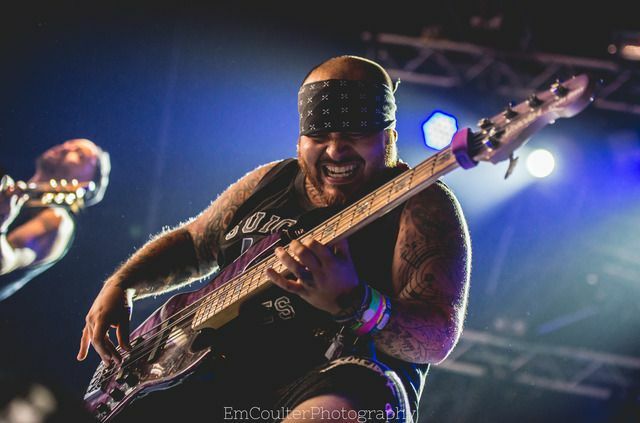 SUICIDAL TENDENCIES finally get to the festival, to a smaller stage with more chaos added. Even while the band are sound checking the atmosphere is energetic and wild. 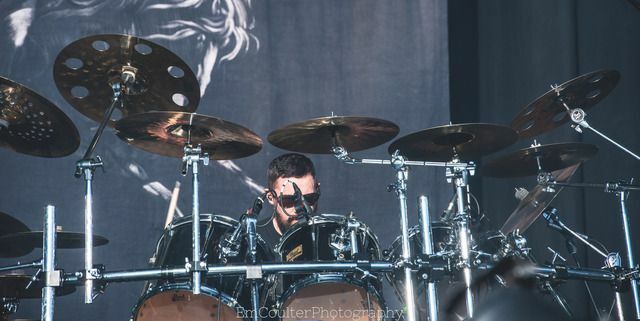 Just by sound checking a single cymbal you get pits getting ready to happen. 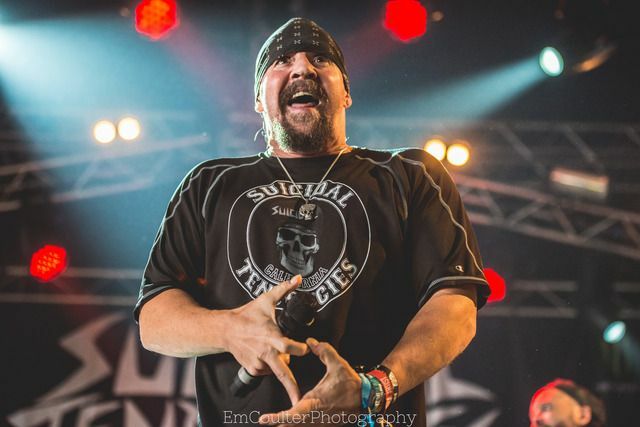 Vocalist Mike Muir is loving the smaller stage and packed out tent, pouncing around the stage like an animal to tracks such as ''You Can't Bring Me Down'' and ''Cyco Vision'' where the crowd goes absolutely nuts. 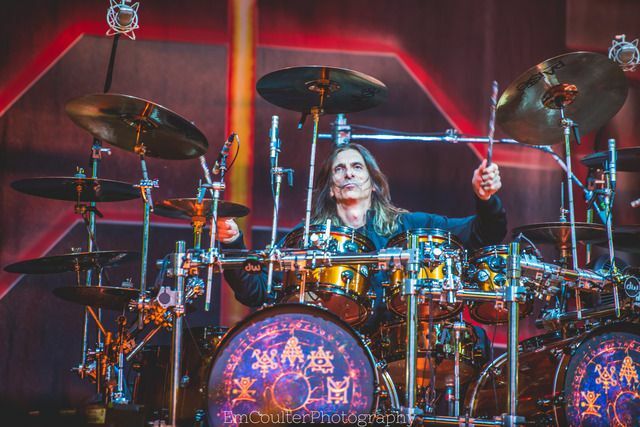 Dave Lombardo is still smashing away on the drums better than ever and is proving how thrash is truly in his blood. 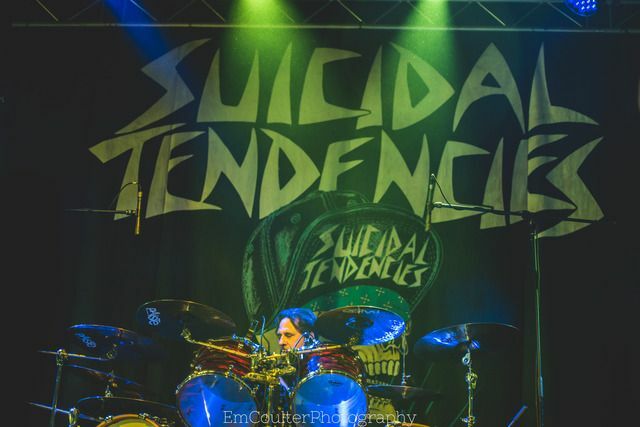 SUICIDAL TENDENCIES truly ruled the SOPHIE STAGE and it's going to be hard to top. 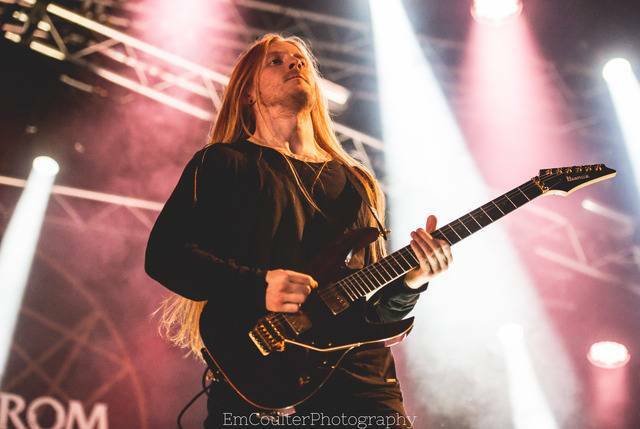 Sub headlining the second stage is no easy task, especially for a band who have not played the festival before. 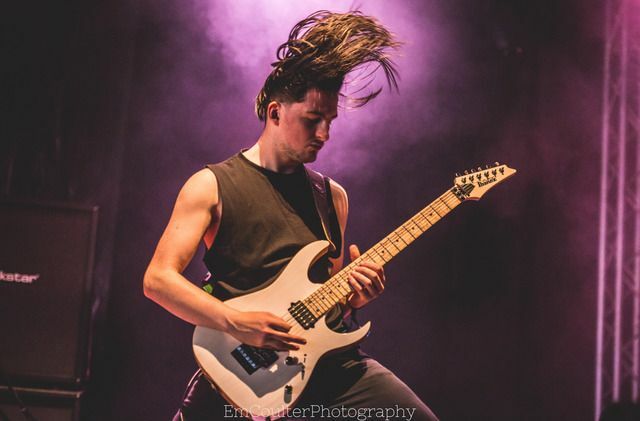 From the moment the first song begins on stage BLEED FROM WITHIN truly take over and the rest is a whirlwind. 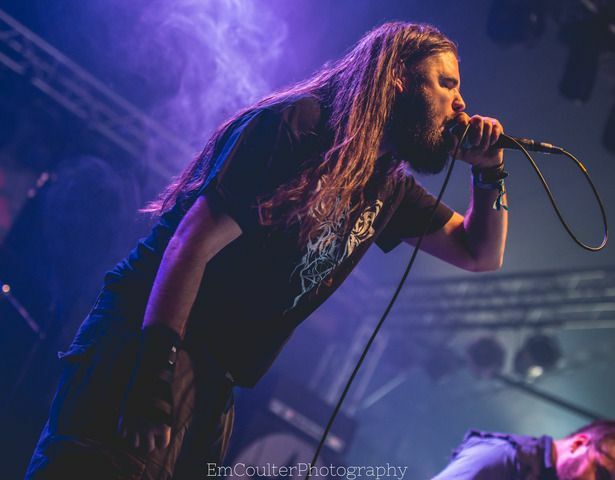 Returning for the first time since their triumphant set in 2014, EMPEROR come back to reclaim the throne at Bloodstock Festival with a sickening sub-headline slot. 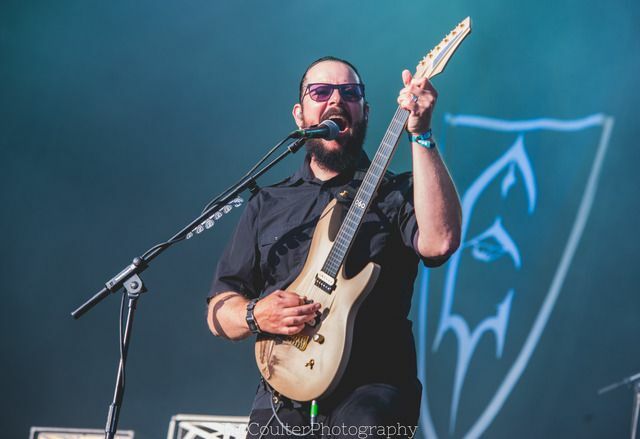 Performing one of their best releases ''Anthems To The Welkin At Dusk'' , EMPEROR had a die-hard crowd of fans shaking their fists and banging their fists for every song. Playing the setlist flawlessly the band are still performing the album as if it was freshly released, vocalist Ihsahn with his unique vocals shows his true black metal side. 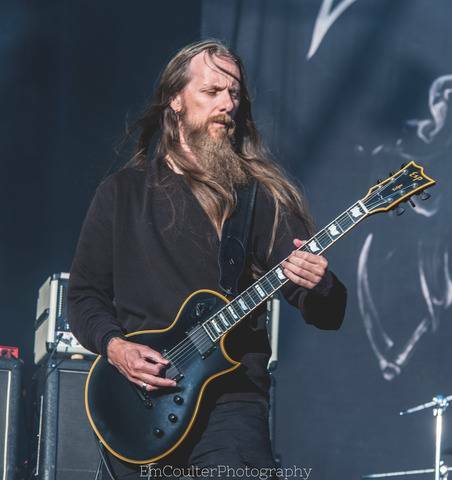 Ending the set with ''I Am The Black Wizards'' and ''Inno A Satana'' the set was brilliant apart from the blazing bright sun, that slightly killed the dark mood the band were aiming for. 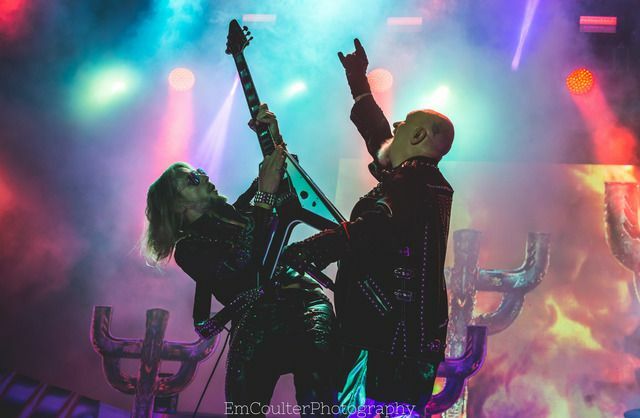 One of the most fan demanded bands the festival has booked, legendary heavy metal group JUDAS PRIEST bring glory to the stage. With pride flags being flown and fans wearing leather studded jackets, the band were truly in their comfort zone. 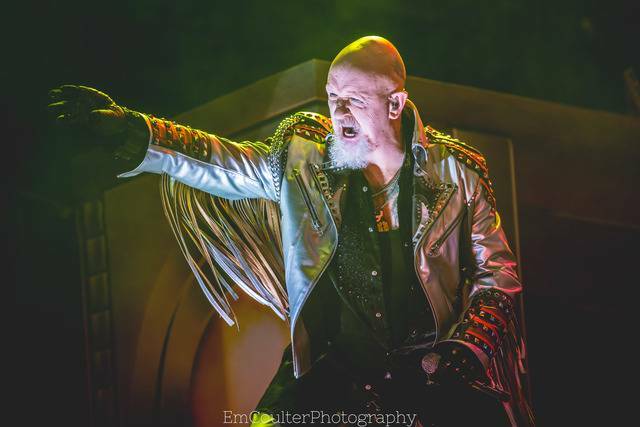 King of heavy metal and leather – Rob Halford maybe ageing but his vocals are still so high they can shatter mirrors, bringing out his motorcycle for ''Hellbent For Leather''. 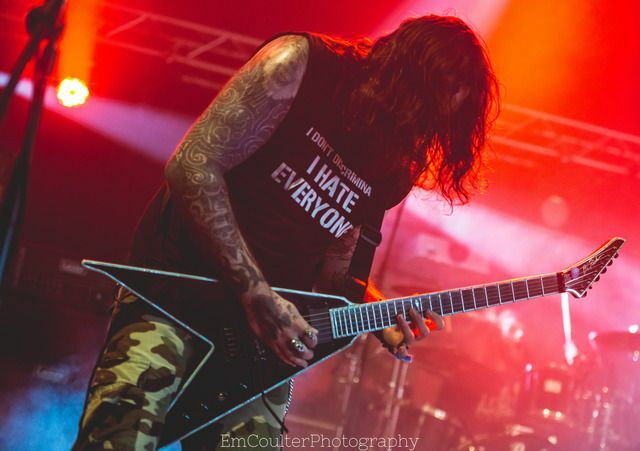 The crowd are louder than the band for classics ''Painkiller'', ''Breaking The Law'' and ''Living After Midnight'' for which guitarist Glenn Tipton re-joins the band for the evenings end. 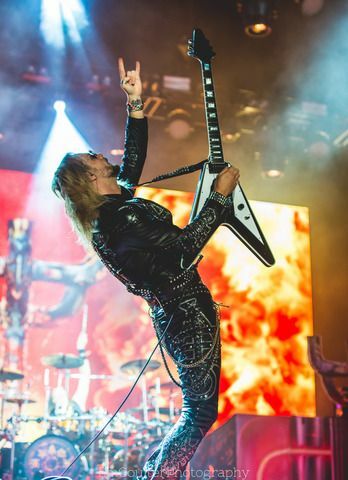 Overall JUDAS PRIEST closed the main stage in a classic fashion, it will be hard to top in future years the level of passion the band have shown tonight.